If you’re thinking about adding a barn or barn-style home to your property, then you’re probably weighing the pros and cons of a pre-engineered package. Don’t let the words kit or package fool you into thinking pre-engineered structures are of lesser quality than their custom-built counterparts. Kits take all the guesswork out of designing and building a structure, and save you money in the process. This is all without compromising on the quality or originality of your building. Barn kits are efficient by design, because no materials are wasted and the structure is built relatively fast. This will save you from labor-cost overages and countless sleepless nights. While plenty of barn kit companies sell cheaply-made, cookie-cutter kits, one has set a high standard for the industry. 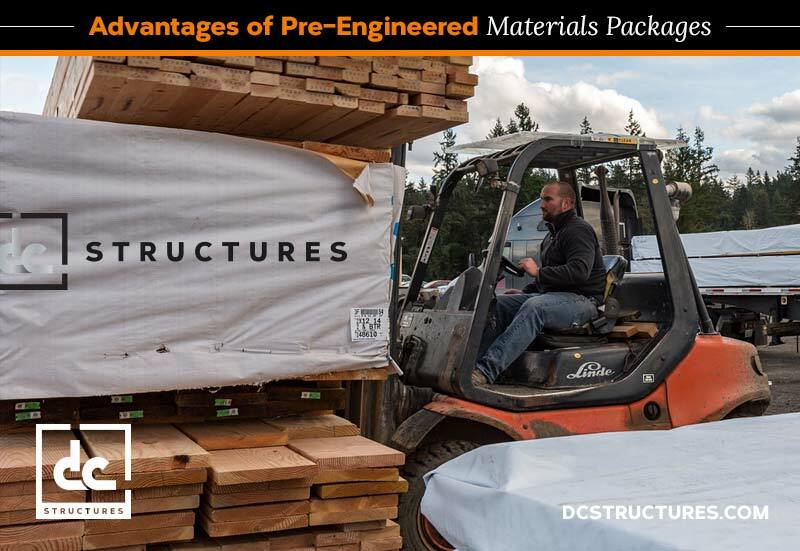 DC Structures’ pre-engineered packages are builder-friendly and built to last. You can count on our knowledgeable team of designers and engineers to guide you through the process. Pre-engineered packages offer the benefit of trusting someone else to do the heavy lifting, and peace of mind knowing that all materials and engineering requirements will be accounted for. We make our kits with high-quality materials, and you can rest easy knowing the hardware is trusted and certified. All of DC Structures’ kits have been pre-engineered to our standard loads. With years of experience spanning projects across the U.S., the DC team is well equipped to ensure all blueprints are compliant with your locally-mandated regulations. Wet-stamped plans are available if needed. We include a detailed materials list for your chosen contractor in all our kits. Additionally, step-by-step construction details will make the structure easy to build. Unlike custom builds, kits offer the ease of knowing there will be no change orders for materials shortages. Contrary to popular belief, structures are easily personalized. Our process starts with selecting a kit model and then making modifications to both the floor plan and finishes. Once your plans are finalized, it’ll feel like a custom build. Take a look at our catalog for a better idea of how we can turn your dreams into actionable plans. It is just as possible to do so with a pre-engineered package. Project Feasibility: Can I Build This Here?